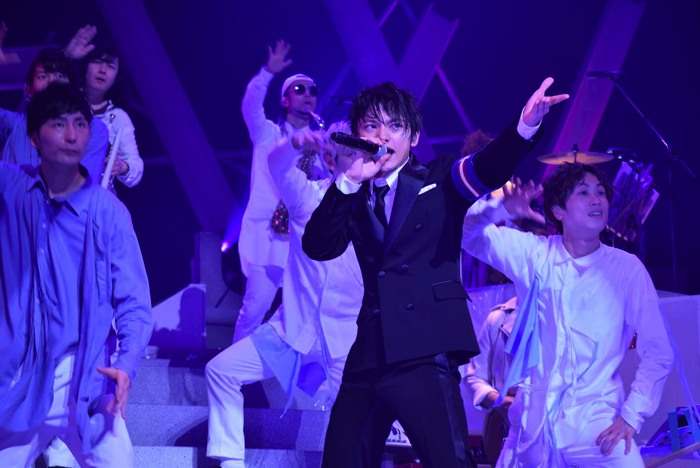 SKY-HI‘s 2018 tour -Marble the World- began on March 1 and saw the singer perform 19 concerts across 15 locations across Japan, wrapping it up with a finale at ROHM Theatre Kyoto on April 28. 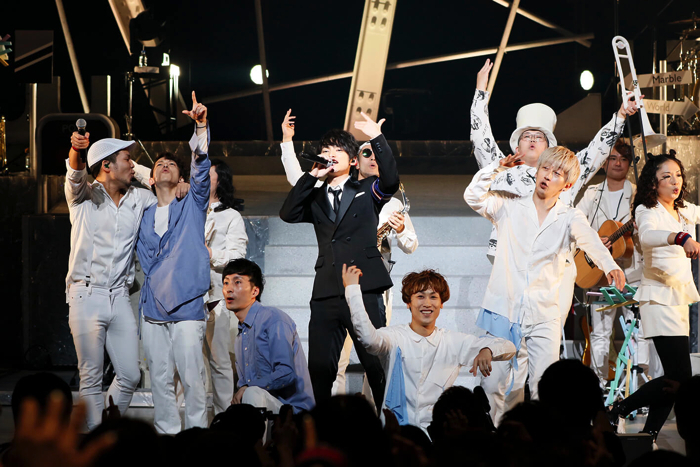 SKY-HI performed at the Nippon Budokan last year for the first time, as well as overseas in Shanghai, Taiwan, Hong Kong, Los Angeles, New York and Paris. He also played at Makuhari Messe this year. He is garnering much attention across the board, not just in the hip-hop scene. The usual course of things is that went an artist releases a new album, they go on a tour to promote that album. 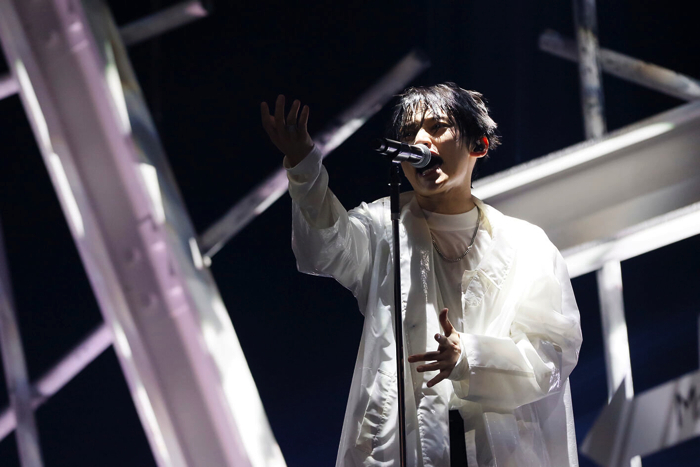 In this case, however, SKY-HI threw people into the world of Marble, his single that was released and available only at concerts last year. THE SUPER FLYERS stepped on stage to open the set, a familiar sight made up of a band featuring a guitarist, bassist, dummer, keyboardist, DJ, a horn section and chorus, as well as four dancers. This sparked huge roars across the room from the FLYERS, a title given to SKY-HI fans. “Let’s get this party started!” It was at this call where SKY-HI walked onto the stage. The first track on the list was BIG PARADE, where the horn section, dancers and chorus danced in rhythm with SKY-HI‘s singing. It really looked as if a big parade was taking place before fans as the whole venue lit up with a bright and brilliant atmosphere. A medley was played during the One Night Boogie feat. 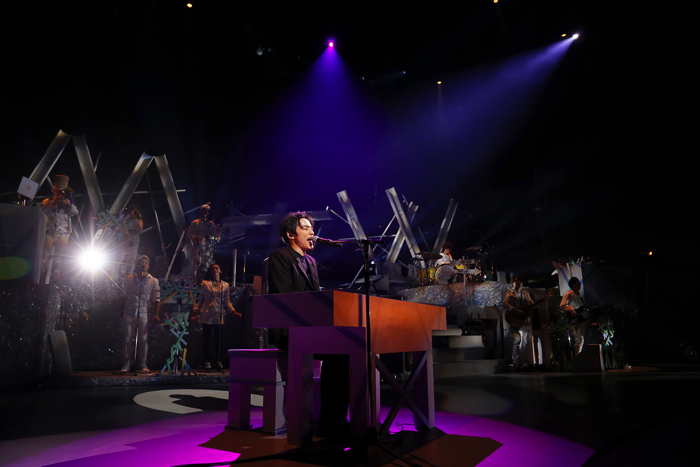 THE SUPER FLYERS interval, after which SKY-HI performed his new song Snatchaway, the opening theme to New Gundam Breaker, where he sang along while playing the piano. This was followed by Marble and Kamitsure Velvet before wrapping up the set. It wouldn’t be an exaggeration to call this SKY-HI‘s best live concert as he played a staggering 36 songs. 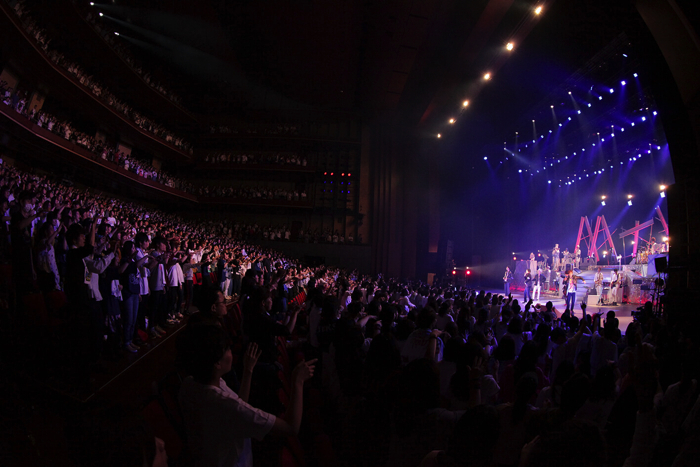 It was like an entire story woven on stage, with plenty of love and meaningful messages laced in, the SKY-HI way. His feelings were undoubtedly delivered to the hearts of all the FLYERS gathered in the room on the final night of this tour. 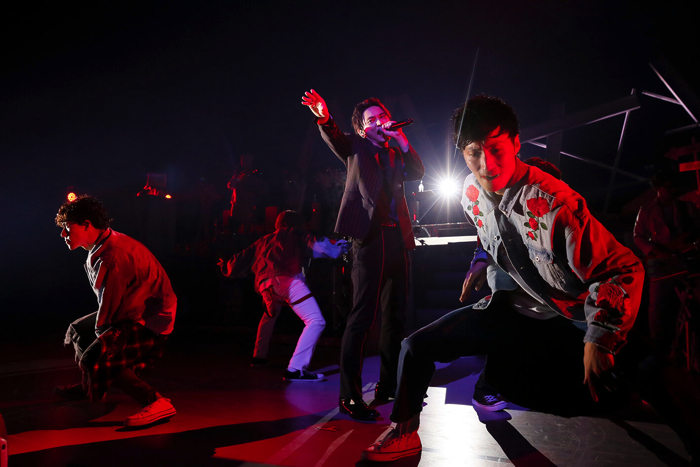 SKY-HI will released a new single in June and go on to perform at huge summer festivals like VIVA LA ROCK 2018, SUMMER SONIC 2018 and more. His fire isn’t about to be distinguished any time soon. It’s set to only grow stronger and brighter.